Trent Bridge will host five matches in the ICC Cricket World Cup, which comes to England for the first time in 20 years next summer. England, Australia, India, Pakistan, New Zealand, the Windies and Bangladesh will all visit Nottingham during the six-and-a-half week competition, with the first match at Trent Bridge being held on Friday 31 May. 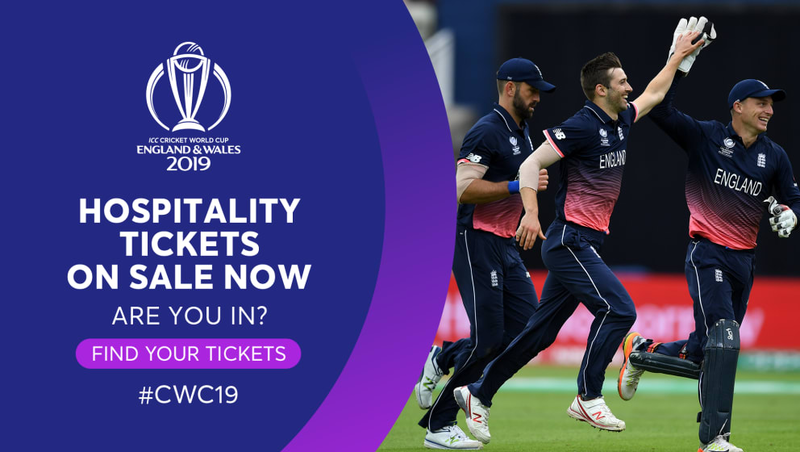 Hospitality tickets for the six-week tournament are now on sale, and whether you want to treat yourself and friends, or impress guests and entertain in style, we'd hate for you to miss out on this exclusive, once-in-a-generation opportunity. Be part of the action by choosing a hospitality package promising the best seats, a premium experience and a day of indulgence. Tickets are limited, so you'll need to snap up your seats sharpish. Secure your VIP experience by getting in touch with a member of our friendly team. Click here to contact us by email, or call 0844 8118712. Take a look at our ICC Cricket World Cup brochure by clicking here.